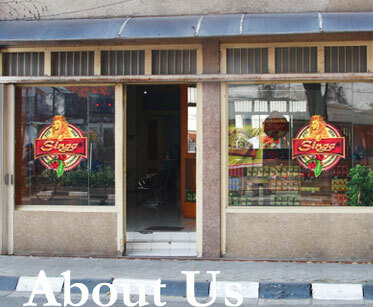 Produced by the Singa Coffee Company, Singa Coffee is one of Indonesia's most popular coffee brands. The Quality of the beans used in Singa Coffee products is such that it will satisfy the taste of the most discerning coffee lovers. Coffee products marketed under the Singa Coffee brand include coffee beans, coffee powder, coffee powder mixed with sugar, coffee powder mixed with sugar and creamer, instant coffee and also ice instant coffee. 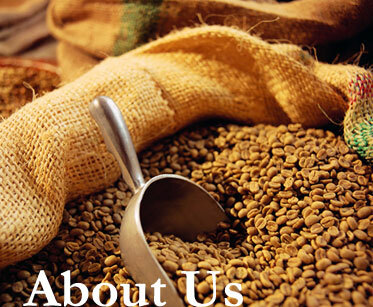 Singa Coffee has been making coffee of the highest quality for a long time, 80 years to be precise. 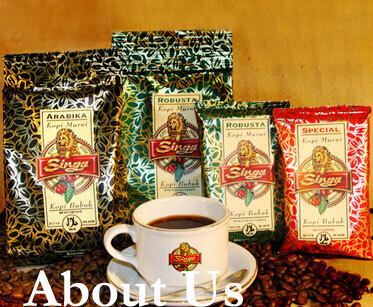 The current manufacturers of Singa Coffee represent the fourth generation of a family whose sole business has been coffee throughout this time. While the company has seen many changes over several generations of stewardship, one thing that has never changed has been the company's uncompromising commitment to producing pure coffee of the highest quality. Since its founding in 1928, Singa Coffee has understood that the coffee market is one of the most discerning of all consumer markets where there is no substitute for quality. Thus, Singa Coffee has strived for the last 78 years to provide discerning coffee drinkers from all walks of life with the satisfaction of drinking coffee in its purest form, made from the highest quality coffee beans processed in a way that optimally preserves the fullness of their flavour and aroma. With four generations of experience and this commitment to quality, Singa Coffee unabashedly proclaims its slogan 'Rajanya Kopi' or 'The King of Coffee'.